Correctly reproducing the exact color and texture of a painting in a photograph has always been a challenge. If you're an artist, framer, gallery owner or even a web designer, understanding the process of how artwork is properly replicated for digital use is knowledge that is essential to compete on the highest level. Have you ever been in this scenario? You are at a beautiful location, at the right time with that "once in a lifetime" shot in front of you. You seem to be able to capture some of it in your camera, but are missing the full majesty that you are seeing. The fact is, your camera is limited compared to your eyes. 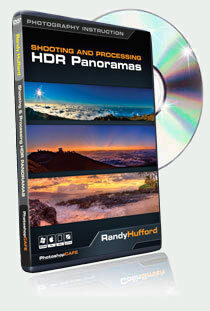 The Perfect Print is a professional level workshop series of 5 DVDs by master printer Randy Hufford (M.photog., CR, PPA certified). From Photoshop techniques that will get your images to pop, to the mounting, stretching and finishing, these methods will showcase your work as a true piece of art. Gallery prints are very popular today and are a great way to supplement your income. Why take an ordinary class? Learn from internationally recognized masters while enjoying the splendors of paradise. 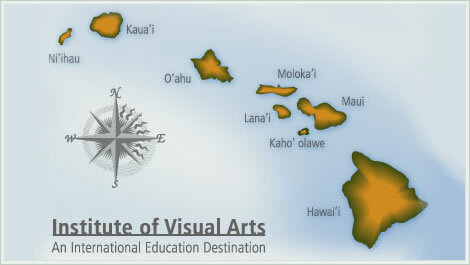 Come feel the Aloha spirit and passionate love of the fine arts and photography that started The Institute of Visual Arts. 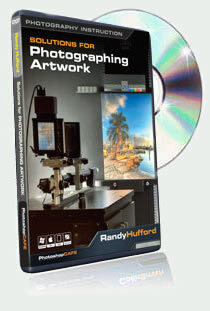 Founded by Eddie Tapp and Randy Hufford, it is their passion that helped create this vision; to bring together giants in the fields of digital photography and fine arts, teaching their crafts to students in paradise. 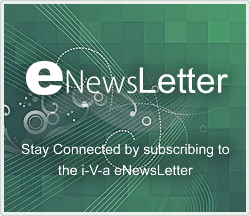 It is the founders' dreams fulfilled to have IVA students enjoy the ultimate educational experience. To those in the know, our master instructors are legendary. 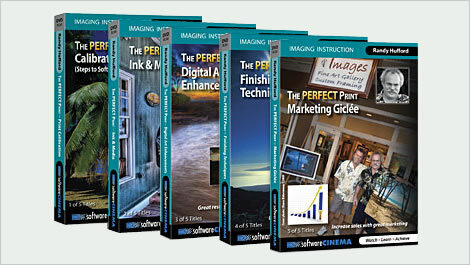 Open the pages of Photoshop User magazine and read for yourself! Giants in the industry including names such as Scott Kelby, Jim DeVitale, Ben Wilmore and our own IVA Director of Education, Eddie Tapp, are just some of the master instructors that will lead you on your learning experience in paradise. We invite you to read our course description for more details on how you can enjoy improving your artistic skills with IVA and a destination educational experience in Hawaii.